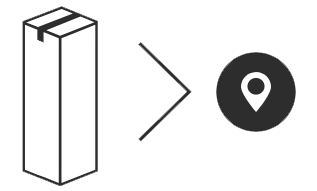 A smarter method for tracking the customer experience. Easy and cost effective. Easy to create advanced surveys. 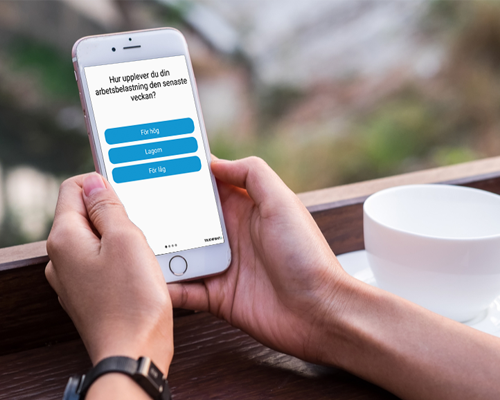 It is easy to create surveys with either your own questions or our ready to use templates. Choose between many question types. 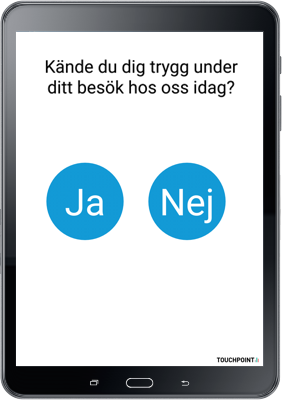 Our surveys support many languages and you can adjust logotype and button colours. 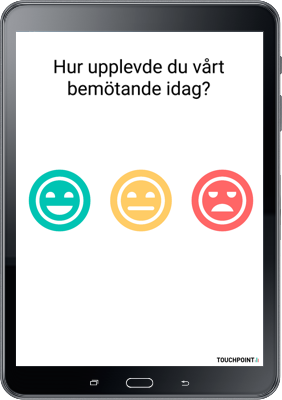 It is easy to make surveys for your Touchpoint. 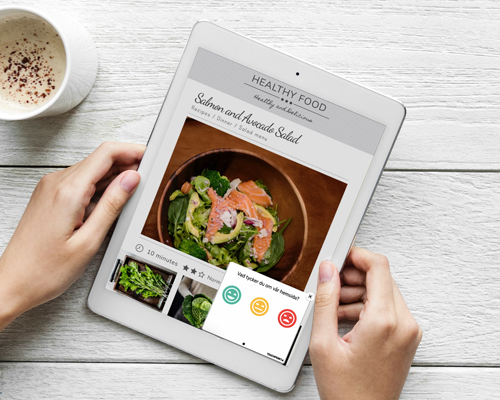 Use one of our templates or make your own survey from scratch. Regardless it is so easy that any one can do it. We will of course help you if you like. Our survey units are fully assembled upon delivery. We adjust the design of the sign according to your wish. When you receive the package you only have to start the tablet and connect it to a power outlet. 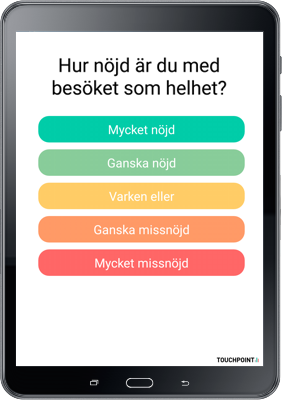 Effective method for employee surveys or to collect feedback from the loyalty club. The easiest way to reach customers everywhere. All surveys are sent from the webportal. It is just as easy to create new surveys as it is to choose a survey from our extensive library. Ask what the customers think of your homepage with minimal effort. What do the customers think of your homepage? Now you will know. 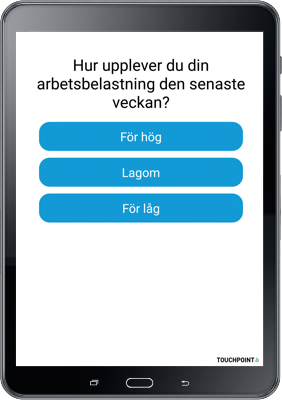 With a Webpoint you can easily create a survey and add it to your web page. Combine several of our services and make the most extensive and fun employee surveys. Manage it all from where you are. We will support your HR-department from idea to complete action plan – For a better place to work. To create a better work place it is crucial to measure the employee satisfaction, not just once a year. In most companies the employees is the most important asset. It is important to track the employee satisfaction to be able to make quick adjustments if it drops. Fill in your e-mailadress below if you want to receive more information about how we can help you with your customer surveys. Our touch screens are perfect for feedback collection att conventions and events. Collect feedback when you meet the customer, not weeks later. How was the convention or event? 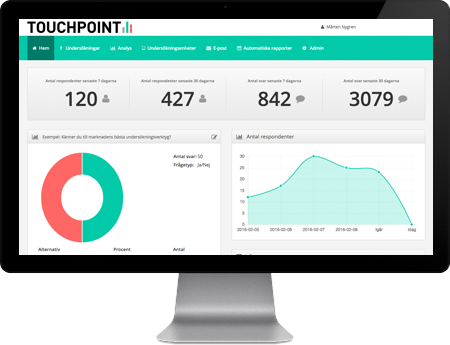 With Touchpoint you will know right away. 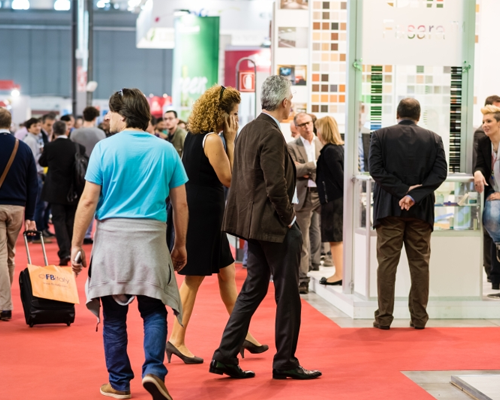 Use Touchpoints to find out the visitors opinion or to collect other customer data. Quickly, easily and right when you meet the customer. 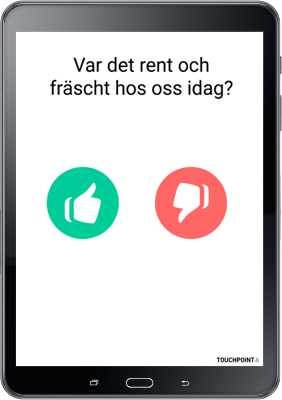 We support you with a questionnaire, sign adjusted to your specifications and deliver all over Sweden.